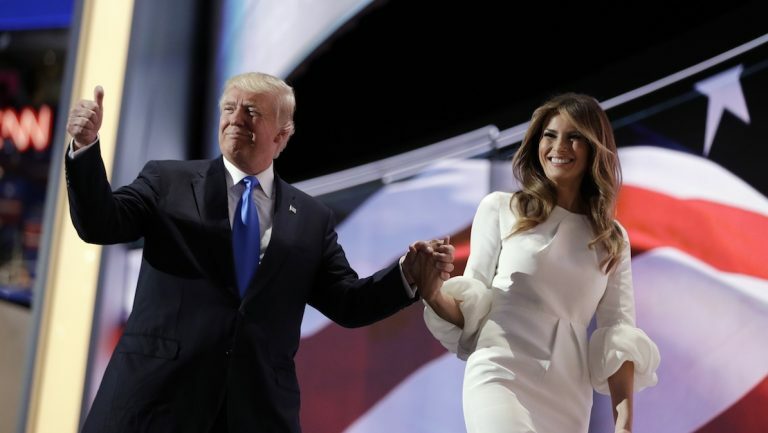 Melania Trump’s address at the RNC on Monday night stirred a firestorm of media attention. As a professional public speaker for over 30 years, and a Democrat, I might be expected to be champing at the bit to destroy her speech. But in fact, I think we should cut her some slack. I don’t think that Melania plagiarized Michelle Obama’s speech, but someone certainly did — and that person, I’m sure, has already felt the heat. This isn’t a reflection on Melania as much as it is likely a reflection on how unorganized the Trump campaign is, and that the people they’ve selected for roles in the campaign aren’t necessarily the best people for the job, but they are Donald Trump’s favorite people. Melania is not a professional speaker; nor is she a presidential candidate. She’s the spouse of a man running for office. For that reason alone, I think we should be gracious and applaud her courage. Could she have done better? Should she have done better? Sure, but for her to receive the criticism she has is just far too easy. If we want a debate, let’s focus on the reasons why Trump shouldn’t be president; not why his wife shouldn’t be the first lady. When you write your own speech, you have so much skin in the game that you read it over again and again, because you want it to be perfect. You don’t read it over just once. That’s something you do when you have people you trust to write a speech and don’t question their content. And therein lies the problem: Her biggest fault was having too much confidence in the people who helped her write the speech. As someone who has written many speeches, I’m confident the people who helped her write this speech were not professionals. This is why you should hire professional speakers to help write speeches. We know how to write speeches that may not have original or innovative topics, but can be written in ways that don’t sound like we’ve heard them before. Amateurs look at previous speeches and pick out the bits and pieces that they like and throw those segments in. That’s exactly what whoever wrote this alleged plagiarized portion did. It’s a rookie move, but everyone who isn’t a professional speaker does it at one point. Even professionals do it in the early stages of their careers. So let’s not break out our pitchforks on Melania. Instead, learn from her experience. Here are three tips to make sure you don’t become the center of attention for all the wrong reasons. If you find something in a past speech that you like, ask yourself how it made you feel when you heard it; then look for a personal story in your own life you can share that would create that same feeling. You copy the emotion, not the story.You could probably go back and find examples of first lady speeches that all had similar sentiments, but they were said in original ways. Melania’s speech copied Michelle Obama’s sentiment and sentence. Not good. Always have other people review your speech, and when they give you feedback, incorporate it. Remember: Feedback only works if you use it.In Melania’s case, the content wasn’t vetted by a professional speech writer. And if it was, that person should be fired. Never “read it once through.” When you have the opportunity to impart your ideas to an audience, you should care so much about the people you are speaking to that you rehearse the speech over and over so your message is delivered in the most powerful, emotionally compelling way. While Melania’s words were technically well written, the speech was delivered very poorly, as evidenced by her lack of practice. Think you could do any better? Try getting up on that stage in front of that audience, knowing that a significant portion of the audience hates your husband, and by association, likely hate you. That would be enough to unnerve even the most experienced speaker.